The Representative Assembly (RA) is the largest governing body of the ETA. 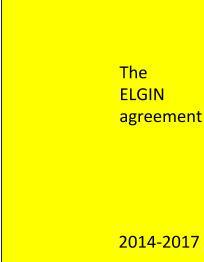 The RA meets monthly at Elgin Community College to attend to the business of the ETA. Representatives from each site are elected by their peers. While only elected representatives are allowed to vote on motions before the Assembly, all members of the ETA are encouraged to attend any meeting of the RA. The RA takes place in the Siegel Auditorium at Elgin Community College. Social Conversations being at 4:00 with the Business meeting taking place from 4:30-6:30. Additional meeting times may be added. At the conclusion of an RA, click the date for RA resources.